Google Drive is the latest challenger among the many public cloud storage services to hit the market and it is making the most noise right now. It has all the right tools and backing behind it to pose a threat to both Dropbox and iCloud. Google's name alone will mean it is here to stay and will be integrated with other Google products and services. With the iCloud, the content can be synced across devices automatically, and users can start working on a Pages document from an iPad and add images to it automatically from their iPhone. This really made iCloud special and stand out from services such as Dropbox. The automatic synchronization rather than having to put files in specific folders first made it seamless and easy for any user. All iCloud requires is OS X Lion for the Mac or iOS 5 for iDevices. It also allows users to choose which exact tasks to put in the cloud ranging from mail to contacts to bookmarks to notes and photo streams. Dropbox, on the other hand, requires users to put files individually inside the Dropbox folder on the machine it is being worked from and, in turn, syncing to a server where the data is hosted. Thus, later the data becomes available across other devices connected online to the folder. There are other services available that are similar to Box, such as SugarSync, Microsoft's SkyDrive, and many more. Apple's iCloud, however, along with Dropbox, has been catching the most attention in recent years. So much so that Steve Jobs is said to have met with the Dropbox founder who later turned down Jobs' offer of an acquisition. This in turn, is said to have caused Jobs to feel insulted and make iCloud the way it is today. 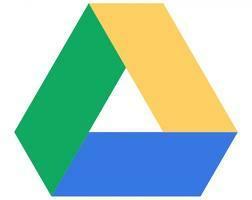 Google launched the Google Drive service on April 24 2012 and it is now available for public use. You can get started with using it by going to http:// drive.google.com/start. Like other popular services, many types of files are supported that include videos, photos, PDFs, document files, and especially Google Docs. If you are the sort of person that enjoys working with Google Docs in the public cloud software as a service (SaaS) platform, rather than Apple's iWork Pages for document editing, then you should definitely consider Google Drive. Obviously it is possible to work with any document editing program and convert them to doc format and upload them across services or e-mails. This shouldn't be an issue, but it makes it easier if the process is seamless and automatic. 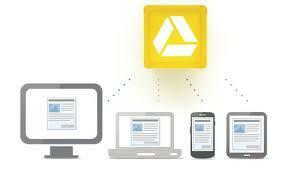 What really makes Google Drive standout are a few features Google integrated into the service. One of them is none other than Google's specialty: search . Like Apple's iWork integration, Google Docs is also integrated right into Google Drive so the documents save automatically and can be accessed across devices. However, it seems apps for Google Drive will also be required. Google has announced a Drive app for Android, but we will have to see if such an app appears on the App Store as well. You can get the app from "Google Play here". As you know, Google Docs is a Web-based software that doesn't require separate apps. In fact, according to the Google Drive app description on Google Live, "Google Docs is now a part of Google Drive!" The standout feature of Google Drive related to productivity with Google Docs is that multiple users can work together on a single document simultaneously. This is great for collaborative projects between teams or co-workers, for instance. The documents also allow comments to be made by users collaborating on them. The other thing about iCloud that makes it more of a hassle than Google Drive is the fact that it doesn't support sync with the Mac version of iWork yet and only syncs automatically across iDevices. On the other hand, Google Drive offers synchronization across literally any device that lets users work with Docs in the cloud. Also, Pages or other iWork apps have to be updated and the app service has to be turned on in settings across devices first. Dropbox requires users to drop the files in for them to sync. Google Drive seems bent on the concept of seamless automation, although it still has to be set up like any other service. Another great thing about Google Drive storage is the generous amount of free storage Google is offering with the service. You will be able to get up to 5GB of free storage and additional storage can be purchased from Google. This is equal to Apple's 5GB of free storage and much better than the 2GB of free storage that Dropbox offers with their service. However, Microsoft has recently added 7GB of free storage to their SkyDrive cloud storage service, which beats out all the major competition, to my knowledge. Google Drive offers extended storage at a cost of $2.49 per month for up to 25GB; $4.99 per month for 100GB; and $49.99 per month for 1TB of data. Unlike Apple, Google is open to working with third parties and has made the Google Drive an open platform. This is a huge advantage over Apple due to its propriety apps that offer iCloud sync and not working well with third parties. For instance, you may have noticed, when using apps like GoodReader that you have to email them to yourself in order to open them via iWork Pages. You may be aware that Google has a Macbook Air competitor in the form of the Google Chromebook. These ultra-thin notebooks come with Chrome OS and not much internal storage — in fact the internal storage is generally not even needed because even the operating system runs from the cloud and is browser-based. Chromebooks rely on Web applications such as Google Docs and expect users to have constant connectivity to the Internet. The advantage of Chromebooks is that they are generally inexpensive when compared to either Macbooks or Ultrabooks, and the apps themselves are inexpensive. The reliance on cloud also means no hassle related to viruses and automatic data backup. Chrome OS was recently updated with a couple of features including a task bar and a window manager to make it more similar to standard operating systems, but still rely on Web apps and the cloud environment to function. Previously, the OS would rely on a full screen interface integrated with a Web browser where apps would be opened via tabs. Recently, there have been rumors going around that Google has great plans for the Chromebooks related to the Google Drive. The Drive will integrate with the small amount of local storage Chromebooks come with and allow for more offline or local storage and content to be used on them. They will sync with the local data on the Chromebooks automatically. Every time you turn on a Chromebook the operating system and applications get updated automatically. The reason this is a big deal for Chromebook users is because the file storage on Chromebooks is very basic and not easy to manage. If you choose to store files on the small local SSD drives the Chromebooks come with rather than in the cloud with services such as Google Docs, you have to find ways to export them. However, the Google Drive is expected to make the experience a more direct integration from the SSD local storage to the cloud. It is expected to blend the two storage methods into one synchronization, so to speak. There are many cloud services right now offering a wide range of storage options for users. Google Drive is the latest and is definitely worth checking out for any user, especially for those of you who are used to working with Google Docs. It isn't a service that has an app on the App Store or integrated into the iDevice workflow yet, so you will still need to rely on Apple's iCloud in that regard. What Google Drive has done is shake up the public cloud storage market by offering new features in regards to search, for example, and document recognition. Competition is great for everyone and we can hope Apple will respond to Google with new features for iCloud in the coming months. Thanks for sharing the details information about the comparison of Google Drive and iCloud online storage service. Is there any other similar online storage service available?